I’m not sure really. I think it was inevitable. 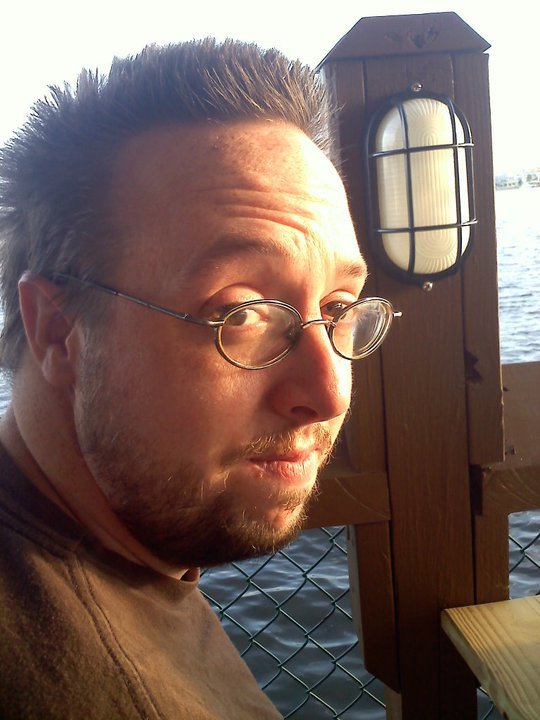 When I started writing horror, I was actually setting out to write science fiction. I’ve always had a taste for dark things. When I was a kid I loved watching The Twilight Zone. In high school the first horror fiction I ever read was by the late Richard Bachman. I still remember the shock of that first teenager getting his head blown off in The Long Walk. Then I moved onto the living Stephen King and by the time I was a senior I was reading Anne Rice’s Vampire Chronicles and listening to bands like Type O Negative, Morbid Angel, White Zombie, and of course the infamous Marilyn Manson. I’ve been a musician much longer than a fiction writer and even my music has always been dark. Probably the free audio serial I’m doing for my upcoming novel Shining in Crimson. Shining in Crimson is the first book in my Empire of Blood series. It is a vampire story. I personally cringe just saying that, but my series is horror and not romance in disguise. Even more than a vampire story, it’s a social commentary on the dark side of American Christianity and what America would be like without separation of church and state. I never set out to write about vampires. The vampires of Necropolis wouldn’t let me be unless I wrote about them. But with the serial, I’m combining my own “dramatic” narration of the text with dark music of all kinds contributed by the best underground artists I can find. Artists interested in submitting music can send links or mp3s to me here. I also wrote and recorded the dark (there’s that word again) intro music to the serial and try to contribute at least one new track per episode under the name, Escape From Saturn, which is my solo recording project. Well, several things. I recently published my novella, The Quiet. It will also be featured in the upcoming anthology Not in the Brochure: Stories of a Disappointing Apocalypse. All proceeds for that one will go to help fight illiteracy. I’m doing the final polishing on Shining in Crimson and preparing for its ebook release this month and its paperback/hardcover release on October 2. Meanwhile, I’m writing another novella called Exit Reality. It’s a strange mix of horror, hard sci-fi, and crime fiction about a serial killer using a digital virus to kill people through a computer device that transfers sensory perceptual data through the internet. Sort of like a Youtube for experiences. 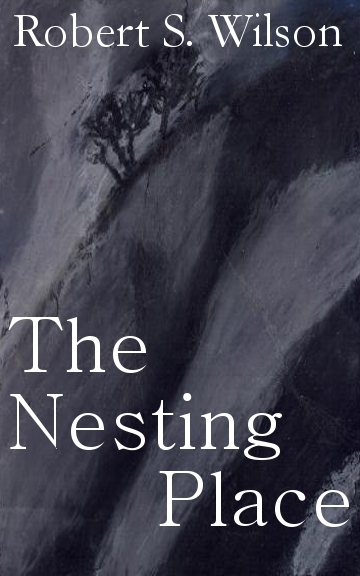 And last but not least, I’m revising yet another novella called The Nesting Place. A lot of folks, definitely. Stephen King, Richard Matheson, Harlan Ellison, Anne Rice, Whitley Strieber, Bentley Little, Scott Nicholson, Joe Hill, Clive Barker, Ray Garton, Brian Keene, J. T. Warren, Michael Marshall Smith, Peter Straub, the late Michael Talbot, Christopher Nadeau, David Wellington, Sarah Langan, Rhodi Hawk, R. J. Cavendar, Peter Watts (who is not a horror writer per se, but still writes the darkest fiction I know of) and Neil Gaiman. I’d have to go with 80% psychological and 20% gore give or take as needed. A combination of both used the right way is, in my opinion, the core of what really makes the best horror. Well, the most obvious reason would be that all of my work is either cheap or free. My work is definitely not for everyone. I explore dark places, not only supernaturally, but the dark places of the soul where we can go emotionally. It’s never a pretty picture to expose those types of things. But it’s part of human nature and something I think resonates with us all. Blood Mountain by J.T. Warren. Now there is a good example of combining psychological horror and gore in just the right mix. J.T. really deserves more attention. You should do a ‘Meet the Writer’ with him soon – he’s a great guy and a great writer.